For as long as cars have raced against each other, people have been betting on the outcome of the race. There are now many organisations around the world that allow bets on motor racing. Usually, a bookmaker would offer the lowest odds on a favourite to win the race. This is a sure bet though, so most people would choose to back a winner. You have a better chance of winning, but your winnings wouldn’t be that great. This safeguards the bookmaker to some degree since he would have to pay out a lot of money when so many people back the winner in a predictable outcome. Backing the underdog is a riskier way to bet, but if you win, you are assured of much better winnings. The risk here is betting too much money and losing since chances of a higher reward is lower than with backing a favourite. Match-fixing has long been a problem in betting. Bookmakers would bribe competitors with a large cut of the winnings if they purposely lose the contest in order to influence the outcome. Although not betting related, Formula One had its own scandal during the 2008 Singapore Grand Prix. 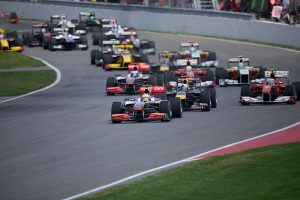 Nelson Piquet Jr. was ordered by the Renault F1 team to crash his car deliberately in order to give an advantage to his team-mate, Fernando Alonso, who was fighting for the World Championship. Alonso went on to win the race. After leaving the team in the following season, Piquet broke the news that he was asked to crash deliberately. Following an FIA investigation, Renault team principal Flavio Briatore was banned from Formula 1 for life, and engineering boss Pat Symonds was banned for five years. Alonso claimed no knowledge of the conspiracy, and both him and Piquet were exonerated after the FIA inquiry. If you are looking for more information around racing betting you can head on over to Unibet race bets to learn more about racing betting and the Unibet sign up offer.